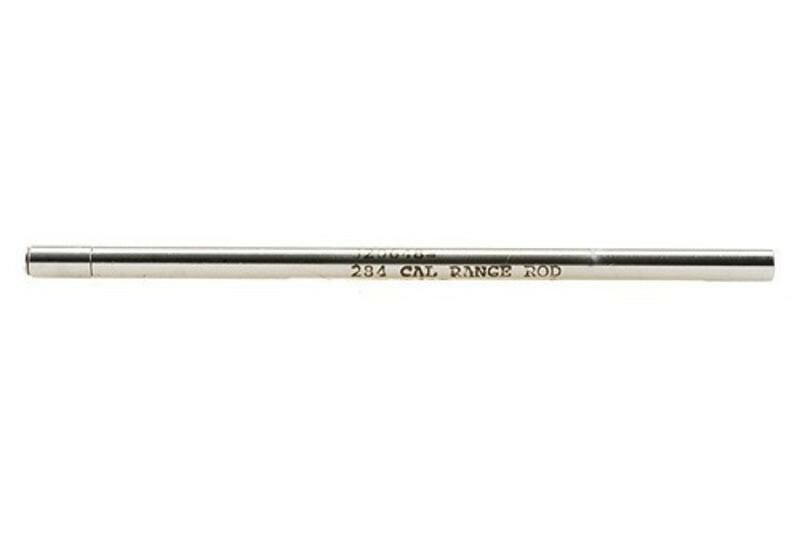 Range Rods are caliber specific, and available for all bore sizes. They are made of steel, 6" (~152mm) long. Bushing is sized to the standard for the caliber chosen. Like our Premium Chamber Reamers, our Range Rods use removable pilot bushings to perfectly center the tool tip in the bore. Each Range Rod features a tapered section, 3.5" (~89mm) long, so the rod will self-center when fully inserted. 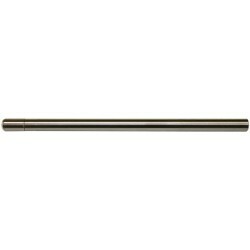 The protruding section of the Range Rod provides a precise reference, to establish alignment and center for machining operations on the barrel. Range Rods are typically used with unchambered barrels, prior to chamber reaming. Note: To assure perfect concentricity and repeatability, apply the best-fitting bushing on a 60° Center Reamer, and very carefully cull .008" (0.2mm) of material from the bore. This will ensure a smooth, flawless edge for the Range Rod to center on.